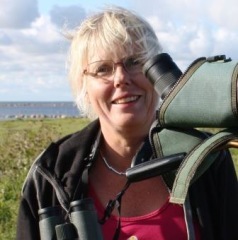 Rapphönan (“The Partridge”) is a Swedish national network for female birdwatchers. The aim is to encourage women to start birdwatching and to take an active part in the activities offered by birdwatching organisations and clubs. We also strive to get a better female representation in the boards of organisations and clubs and have over the years been very successful. Rapphönan have local groups in different parts of the country. Sometimes we organise national meetings, and at a local level pub evenings and excursions in cooperation with regional or local birdwatcher´s clubs. You can also find us on Facebook: Rapphönans vänner open to both men and women. Some of the local groups have their own pages. Rapphönan was founded the 28th of February 2009 by a group of female birdwatchers. The main birdwatching organisation in Sweden is BirdLife Sverige, member of the international organisation BirdLife International. 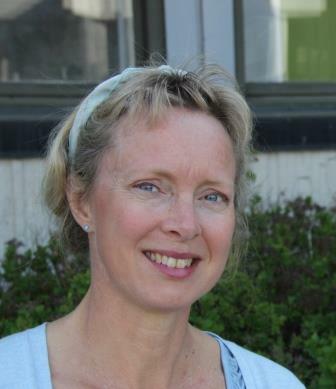 Lotta Berg, chairwoman of BirdLife Sverige since 2018, has been a member of Rapphönan for many years. Contact BirdLife Sverige if you have questions about birdwatching in Sweden or bird conservation issues in our country. 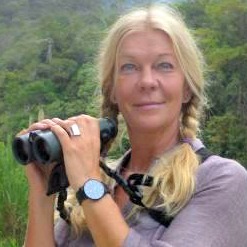 Lotta Berg, chairwoman of BirdLife Sverige.